At the time I wrote the last post, I had about 250 files in my office without decisions. That number has since increased to over 400 files, all of which are people who are waiting for justice in their cases. And in the meantime, the IRP remains on their driving record. Another lawyer who was frustrated with the delay brought a case to BC Supreme Court. His client had argued the case at a time when the law was a certain way. By the time the adjudicator decided it years later, the law had changed against him. The lawyer argued that the Superintendent had deliberately delayed in the hopes the law would change. The Court dismissed the case, saying that there was not enough evidence to support that contention. However, this appeared to have been only a very narrow decision. The judge commented that the whole thing left a bad taste in his mouth. A few weeks ago, I argued a different but similar case. I am currently awaiting a decision from the Court on the issue. In my case, the Superintendent had extended the time to render a decision indefinitely. This left my client in the position of having the ﻿Sword of Damocles﻿ hanging over his head, never knowing if and when a decision would be made in his case, and if and when the prohibition would be reinstated. My argument was essentially that the legislation did not permit the Superintendent to extend the time for a decision indefinitely, but only for a finite period. The judge in my case has yet to render a decision, though he did note the irony of taking an indefinite amount of time to render a decision about an indefinite amount of time to render a decision. In a request I made pursuant to the Freedom of Information and Protection of Privacy Act a few weeks ago, I received a table showing the names of adjudicators and "re-assigned" adjudicators. It was in the context of something else entirely, so I sought out more information. I received a copy of a list, 30 pages long, showing every IRP case extended at the time, and the name of the original adjudicator along with a reassinged adjudicator. What is surprising, and disturbing, is that the majority of cases appear to be re-assigned. Rather than letting the adjudicator who originally heard or was assigned the case decide it, the Superintendent has re-assigned files to different adjudicators. At the same time I received this, I also received a decision from an adjudicator that was signed by someone other than the person who had signed the Notice of Extension eight months earlier. I began to grow concerned, understandably, that one of the very basic principles of administrative law was not being followed. That is, the person who hears the case must be the person who decides it. In order to have a fair hearing you have to be able to make your submissions to the person who will decide the case. "RoadSafetyBC Managers may occasionally reassign an adjudicator in written review hearings. These reassignments may occur for example, when the original adjudicator is on long term leave or has changed jobs. In all cases the new adjudicator will have all the evidence and written submissions. For oral review files, if the adjudicator who was present at the oral review hearing is no longer available to render that decision, a new hearing would have to be scheduled." The problem is that what is in that letter simply isn't the case, when the table of extensions is contrasted to it. For starters, the table reflects that adjudicators like Brenda M. have, in some circumstances, not had files re-assigned. Brenda M. retired over a year ago. Similarly, Alistair C. is now no longer at that department, and yet many of his files are still assigned to him. Meanwhile, files assigned to adjudicators such as Amy D., Brian H., Nikki C., and Julie D. (as examples) are reassigned in numerous cases. These adjudicators are not on long term leave and have not changed jobs. I have conducted hearings with each of them in the past ten days. And yet for some reason their files have been reassigned. I can understand that the adjudicators have a significant workload. However, I too have a significant workload and I manage to make the submissions in my clients' cases each time the law changes. So there is no conceivable reason that these files should be reassigned. It's certainly not in keeping with what I have been told, that is that files are "occasionally reassigned... when the original adjudicator is on long term leave or has changed jobs." That just isn't the case. The policy is also said by the Manager of Adjudication to be applied occasionally. But anyone with basic counting skills can see that this isn't an occasional issue. A significant number of these files are reassigned. It isn't an occasional issue at all, but appears to be a frequent practice. And it's disturbing that the Government's response simply doesn't align with the factual reality in the records they disclosed to me. It's also disturbing that the Government has implemented a policy that requires drivers to file their application within seven days, after having been prohibited immediately, and requires that the applicant have all the evidence and submissions ready to be provided at the hearing, which hearing takes place about fourteen days after the prohibition has been imposed. And despite the promise of a decision within 21 days, they appear to be largely unable to implement that. It remains the biggest failing of BC's DUI law, and it is a significant problem with fairness and transparency from the tribunal. Anyone who expects to be treated fairly in these cases should be offended by this frequent and extensive reassignment of adjudicators. Excellent Read. Thank you. I enjoy your posts keeping me up to date on the potential process regarding my review. I just hit past the 3rd notice of extension; due April 7th, which is a little bit over a year from when I received my IRP on March 21st 2015. Still no word from the department of motor vehicles. I am giving the mail a couple of weeks to be sent out and delivered. I doubt they're come to a decision in the deadline they're provided for themselves and I think it's silly; all they seem to be doing is creating more of a backlog of cases for them to go through. I'm curious if the 4th extension they'll grant themselves for my case will be another 3 or 6 month wait. Are 8 or even 12 month extensions, even possible? Perhaps it will be extended indefinitely, a possibility I wasn't even aware of and am completely shocked upon learning. 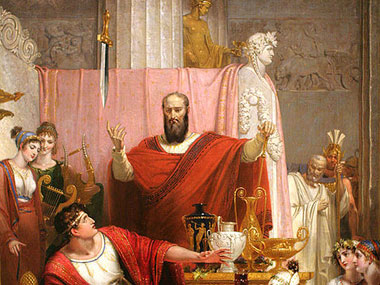 I my not be your client, but I'm also left with the Sword of Damocles hanging over my head. Win or lose, I just want it to be over. I'm very keen on hearing the outcome regarding your argument not permitting the Superintendent to extend the time for a decision indefinitely, but only for a finite period. I understand the judge's decision might take some time, and I'm glad he sees the irony in that. Perhaps a judicial decision will finally be made that can close this silly loop-hole the government has made for themselves and cases can start getting closed. Frankly I feel that If a decision has not been made within a reasonable amount of time and extensions, the case should be thrown out entirely. Please keep us updated Kyla, continue to fight the good fight for all of us out there. I read this with much interest as I am now at 27 months waiting for a decision. I got an indefinite extension with no time limit yet this week I got a letter stating I now have supposed date they might render a decision on. Sometime in August. By then it will have been 29 months of waiting for the hammer to probably fall. Been on pins and needles all this time wondering when they might take my vehicle off me again, my license and impose those remedial remedies and hit me with the money part of it. If I had been charged I am sure after this length of time it would be thrown out as I have a right to be tried in a reasonable time under the charter. It is wrong they can take so long to render a decision and place people's lives in limbo, never knowing when that letter will arrive. I am sure they are holding onto all these rip appeals trying to change the law to their favour. Wrong! Wrong! Wrong! I received a IRP and a telephone message at the 11th hour of their 21 day decision timeline. I called the next day (the 22nd) day and was told by Ashley the receptionist that the adjudicator could not make a decision. I inquired as to why and was told "I don't know could be anything." Not an answer for such a serious matter. Five days after day 22 I received a back dated letter stating that a decision could not me made: "I am unable to send a decision within the 21 days of the date that you were saved the Notice of Driving Prohibition. A decision will be sent by June 20 2018. Your prohibition will remain in effect and the vehicle will remain impounded, until the decision has been made." There is no signatory on the letter so I have no idea whom my adjudicator is. This seems a tactic aligned with furthering their illegal reassignment practice. June 20, 2018 has come and gone and no decision was sent and no call from Ashley the receptionist. So I called at 2:30 pm on June 20th and was informed that adjudicator X has until 4:30 on June 20, 2018 to decide. I called at exactly 4:20 PM on June 20, 2018 phones were closed, however supposed to be open until 4:30 PM. Calling again on June 21, 2018 to inquire. This is a shocking and unjust practice shrouded in secrecy wherein the public is not allowed to know who their adjudicator is (written review) question the adjudicator, question the adjudicators credentials, demand the 21 days be enforced, that is without extenuating circumstance. Granted requests for access to public information in British Columbia is non existent. No accountability allows for questionable practices. Such is the case throughout Governments Ministries. Lest we forget the Ministry of Health debacle and illegal purging and redacting of documents to save hides. We still do not know what occurred therein. A total cesspool.